« Hurricane Season in Full Swing, Don’t Forget Your Pets!! One of the oldest known tricks to get your animal to take their pet medication is to hide the pill in a glob of peanut butter. 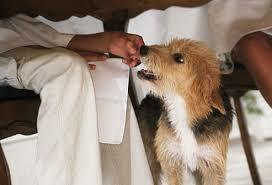 Your cat or dog is certain to lick every bit right up as they down what they believe to be a tasty treat. Or if you have the time and the proper tools – the back of a spoon works great – you can also crush the pill into a powder and mix it in with some yummy applesauce. Pill pockes are tasty treats that are available at your pet store. You place the pill in the middle of the treat and your pet enjoys the treat without knowing that he just swallowed his medication. Whichever method you choose, your pet will lead a happy and healthy life! The best oldies are playing right now on Edgewater Gold Radio—oldies variety at the Delaware Beaches and broadcasting to the world on the internet. Listen all day! Download our free Edgewater Gold Radio app now. Listen from our website; edgewatergoldradio.com. This entry was posted on Monday, September 10th, 2018 at 8:52 am	and is filed under Pet Supplies. You can follow any responses to this entry through the RSS 2.0 feed. Both comments and pings are currently closed.